Digital Native Studios – Text Mesh Pro – This is the website for Text Mesh Pro which is a plugin for Unity which is available on the Unity Asset Store. TextMesh Pro is the Ultimate Text Solution for Unity. 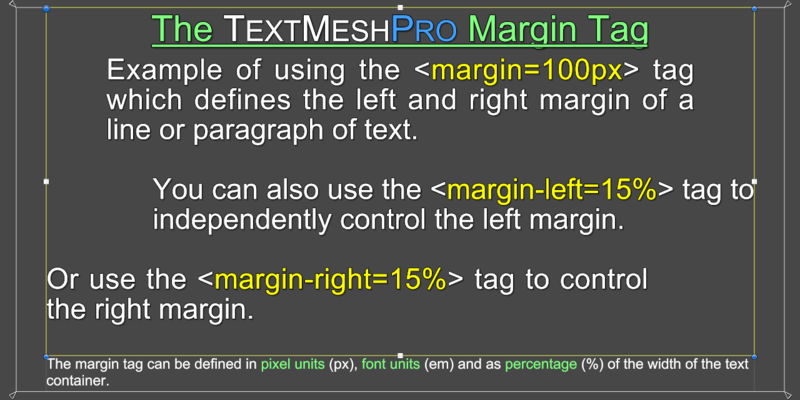 TextMesh Pro uses an advanced text rendering technique that renders your text cleanly at any point size and resolution. 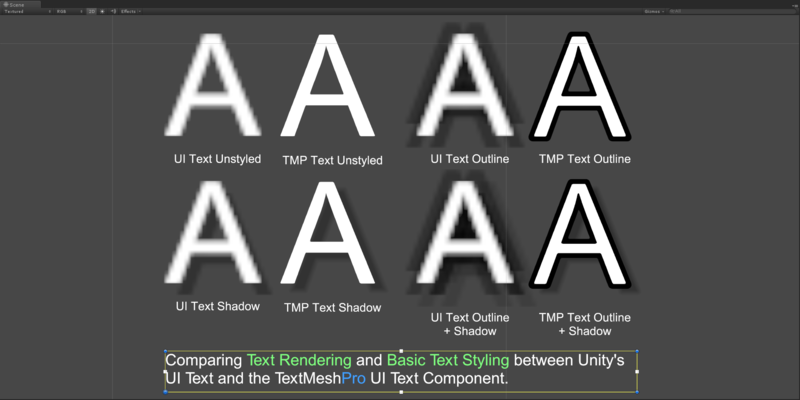 When it comes to text styling, TextMesh Pro gives you incredible flexibility. Dynamically add an outline, shadow, dilation, softness, bevel, textures or gradient colors to your text. 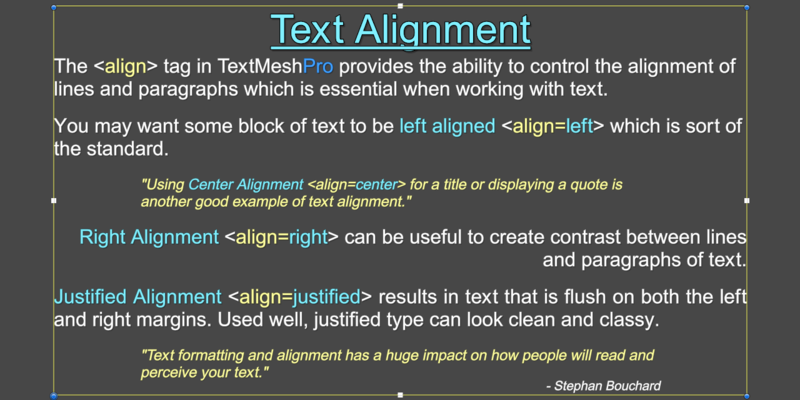 TextMesh Pro gives you better control over the layout of your text from improved alignment control like justified text to control over character, line and paragraph spacing to kerning and enhanced list of rich text tags. 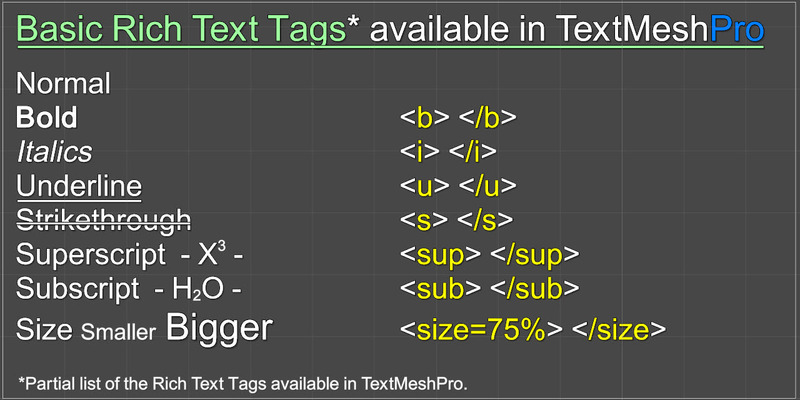 TextMesh Pro includes a scripting API. All the major text and material properties are exposed through the API giving you complete control over your text. 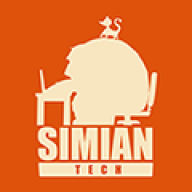 Get a full overview of TextMesh Pro by watching the following two videos. The Cure For Boring Text! 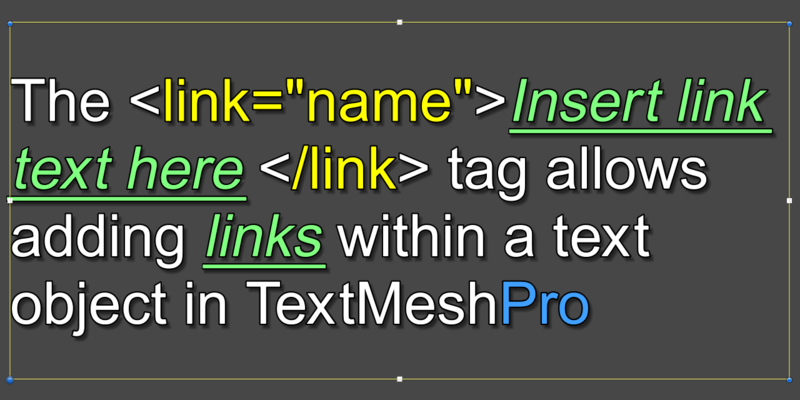 TextMesh Pro is so powerful and easy. There is no excuse for plain, monotone, blurry text in your games ever again! Amazing support and a just as amazing tool, just wish I had found it at the start of my game, I’m now switching all my Text to Text Mesh Pro! This is the best text engine I’ve used in 30+ years of game development.